Gorgeous custom built home! Upgraded vinyl siding with real stone accents & cedar columns on covered front porch. Dark hardwood floors thruout entire house except baths. Modern white kitchen with soft close drawers and cabinets, stainless steel appliances, under-counter lighting and a walk-in pantry w/wood shelving. Large laundry room off kitchen. Dining area w/lots of windows & natural light. Great room w/vaulted ceiling & floor to ceiling stone fireplace. Master bedroom w/his & her walk-in closets w/custom shelving. Master bath with big soaking tub with granite & tile surround, walk-in tile shower and dual vanity sink. Two spacious secondary bedrooms with large closets. Hall bath is also gorgeous with tile and granite. Hall linen closet with custom wood shelving. Big level backyard with patio. Finished 450 square foot 2-car garage with epoxy flooring. 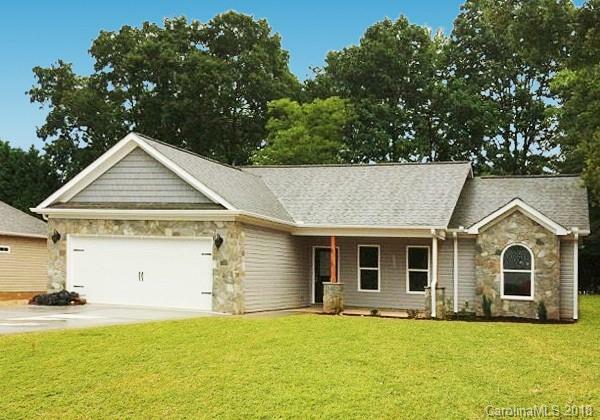 This house has it all and it's conveniently located across the street from Springfield Elementary! Sold by Mel Miller Realty Inc..